t*rexes and tiaras: Best in Show..
Wah, how I wish things would just slow down a little. I have so many lovely ideas floating around in my head, but the time to actually do them...well, that's harder to come by. I've been meaning to share some of the new things from Yoshi for a good few weeks now. 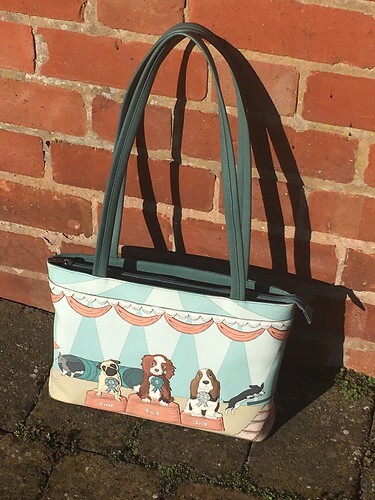 I think, despite the fact that I don't really like dogs (I didn't realise *just* how controversial it was going to be to say that on my IG post), that this design might be my favourite of their new things...! As ever with Yoshi, the attention to detail is amazing. The design is a dog show, with dogs in the background playing through the tunnel and performing agility tricks. 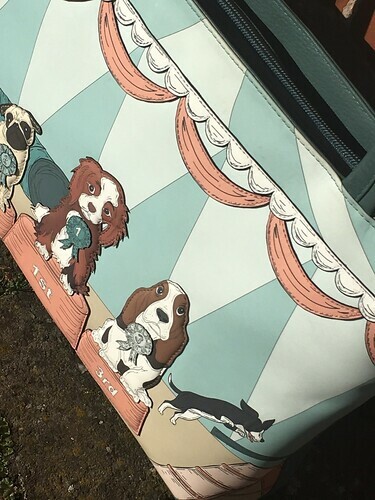 The three main dogs on the podiums are appliqued onto the bag, making them a little more three-dimensional than the rest of the background. 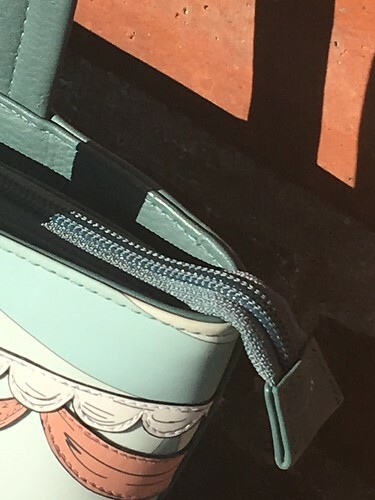 Really loving this teal coloured leather which provides a lovely background and the straps are long enough that you can carry the bag on your shoulder with no bother. The colour seems to work really nicely with the muted palette of the design - very harmonious. The bag closes across the top with a long zipper, and the main compartment is nice and roomy - more than enough space for everything I carry to work with me on a daily basis, which includes an A5 diary. Inside, there's another little zipped pocket and two slide-in pockets on the other side; perfectly sized for phones and iPods etc. Because of it's size and the shoulder straps, I'm finding that I favour this one most days. On the back, Yoshi have kept up their usual tradition of adding an extra little detail. 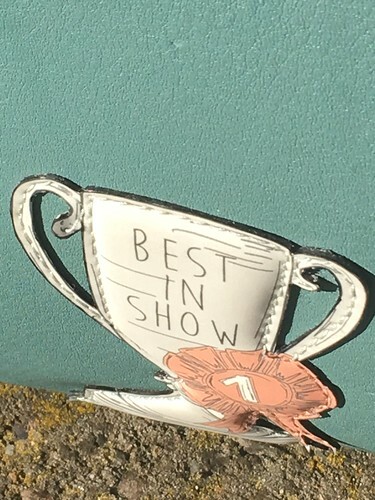 In this case, it's a trophy, again raised because it's appliqued on. Do you have any Yoshi bags? I love them. It is v sweet! 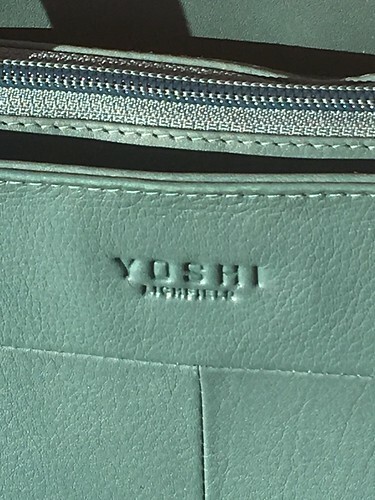 I don't have any Yoshi bags but I can see they look good quality! I do. I have the Yes / No bag from the sale. It's my first Yoshi bag, and I doubt it will be the last. The quality and attention to detail is amazing - and they're good value for money too. This one is very cute, I like the 'best in show' detail! Even though I'm not huge keen on dogs either, it's no secret I'm a cat lady.